than Abbey Road. Often regarded as one of music’s greatest albums: Abbey Road was the penultimate release from the legendary band. Of course, Let It Be was recorded (before Abbey Road): The contrast between the two albums saw a huge shift and a chasm of evolution. It is a sad fact The Beatles had to call time on a wonderful career. Whatever the true circumstances behind the split- Yoko becoming too influential; band tensions too severe; a natural time to call it off- you cannot deny what a legacy The Beatles left. They are a band that is even more influential than you may imagine. Whilst a lot of modern-day bands/artists are not directly influenced by the band- in terms of sounds and themes- nearly every musician owns at least one ‘Beatles record. I have never come across a person who dislikes The Beatles: If I ever do encounter one they will be swiftly punched in the face. Modern music would not be what it is without the Liverpool band and what they gave to the world. If you are a lover of ‘60s music- I cannot say I am a big supporter- some of music’s legends began their careers around this time. Bob Dylan started off in the early ‘60s: The master of song began honing his craft and showing the world just what a genius he was. Bands like The Who and The Rolling Stones waved the flag for Britain. Led Zeppelin began to emerge towards the late-‘60s. If subsequent decades saw a balance between U.S. and U.K. artists- both nations producing supreme quality- the 1960s saw Britain absolute dominate. Sure, the likes of Dylan put America in music consciousness: Britain’s best were showing just what music was capable of. The electric sexuality of The Rolling Stones- reworking the Blues with their distinctive swagger and musicianship- gained legions of fans around the globe. The Who’s youthful anthem- the album My Generation was released in 1965- captured the hearts and minds of a new generation of music fans. I do not need to give you a concise history of The Beatles- lord knows, that has been done enough- but it is worth looking into their late-era albums. In 1968, The Beatles were starting to show some strains. 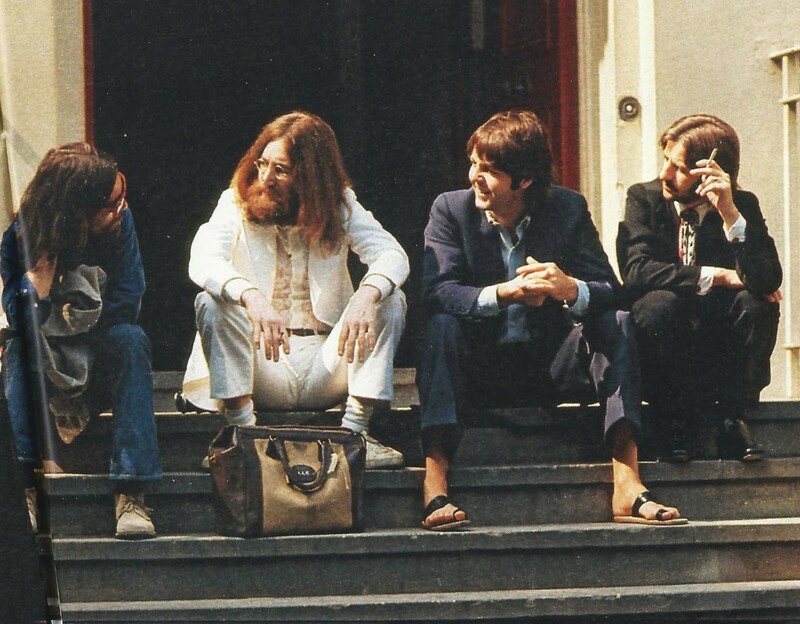 In the run-up to The Beatles (‘The White Album’); the band members were writing separately and communications were strained. Sgt. Pepper’s Lonely Hearts Club Band (released in 1967) was a cultural landmark and saw the quartet achieve their most successful creation to date. Critics practically drooled over the album- some thinking The Beatles were agents sent by God- and fans responded accordingly. Nobody can deny what a significant impact that album had at the time: An album that has not been equalled or topped by any musicians since. Whether it is your favourite ‘Beatles album or not- mine is Rubber Soul- the influence it had was staggering. It is strange; therefore, that The Beatles was such a tricky affair. Writing songs at a Transcendental Meditation course in India- some songs were written in England but most were penned here- the band needed to get away from things are reflect. Towards the start of the sessions, band friendships were as strong as ever. Lennon and McCartney would often meet in the afternoon to review one another’s work- Lennon felt he wrote some of his best material at this time. The band recorded around 40 songs before heading home- George Harrison came into his own as a songwriter- and there was optimism and high hopes in camp. When the band sojourned to Abbey Road Studios, cracks started to appear. Lennon and McCartney would often record in different studios- employing separate engineers- whilst Lennon’s twin devotions- to Yoko Ono and heroin- changed his personality. With Ono in tow- and balkanising the song-writing leads- there was a hostile atmosphere in the air. Petty fractions would arise- George Martin critisised McCartney’s vocal on Ob-La Di, Ob-La-Da to which McCartney responded: “Well, you come down and sing it then”- the brotherhood was breaking. Lennon found McCartney’s songs cloying and sickly; McCartney considered Lennon’s cannon harsh and unmelodious. By August 22nd (1968) Ringo Starr had had enough: He left the group; unable to come with the arguments and acrimonious divorce that was unfolding. The Beatles had essentially created their ‘break-up’ album. The Beatles was received positively by critics upon its release. In spite of the fact it was a double-album and hugely fragmented- the band members covering so many genres and ideas- that dislocation and lack of cohesiveness fascinated listeners and reviewers. The emotions and contradictions (within the album) won hearts and minds. A staggering achievement considering the album almost didn’t get made. Let It Be was The Beatles’ next release and see existing tensions reach fever-pitch. Although released as their final album: Technically it is their penultimate cut (recorded before Abbey Road). McCartney- worried that the band was beyond repair- felt the way to repair relations was to get back into the studio and jam together. No overdubs and 8-track recording- the band switched from 4 to 8-track for The Beatles- just keep things nice and simple. Of course, things would not work out that way. If things had changed- George Martin was not in the producer chair- the band could all relate to one thing. Each member was keen to return to a back-to-basics performance style. The band felt albums like The Beatles were too complicated and technical: The Beatles built their success on no-thrills straight-to-the-point group performances that showcased their affection and bond. In an attempt to return to their former state: The guys were excited to see whilst they could come up with. McCartney assumed the mantle as ‘group leader’: A fact that irked George Harrison especially during this time. Lennon became disengaged and preferred working with Yoko Ono: Like two parents separated; the ‘children’ of Harrison and Starr were caught in the middle. Lethargy, conflict and power struggle defined an album that was effectively spelling the end of The Beatles. The fact the recording sessions were filmed- another nail in the coffin- only made tensions worse. Whilst rehearsing in Twickenham Studios, the first real explosion occurred. Harrison was growing frustrated at Lennon’s lacking inspiration and disengagement from the band. Reputably escalating into a fist fight- Harrison denied this in later interviews- the duo fell out hard. Harrison also turned his anger on McCartney who he felt was patronising and controlling: Harrison subsequently returned home and left the band as a trio. 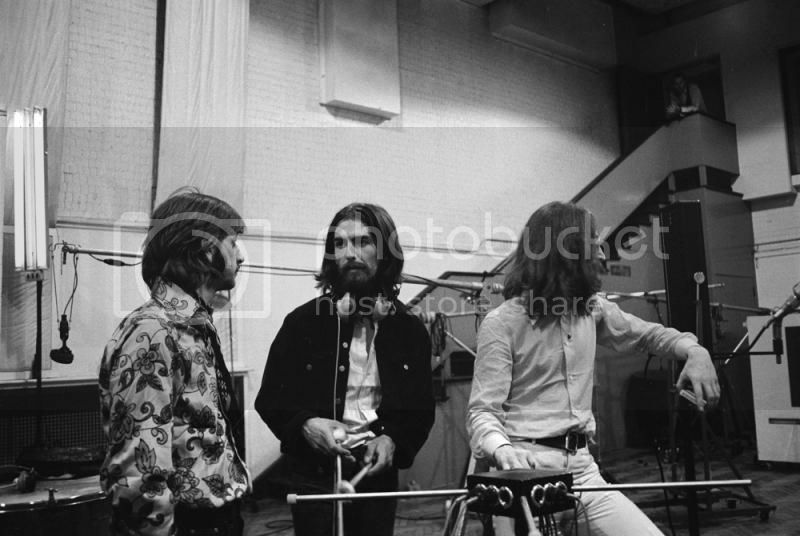 Soon after, the band commenced to Abbey Road Studios, with Harrison back in the fold. The Beatles abandoned the idea of public performance- a concept McCartney hoped would solidify the group’s discipline and focus- and went back to basic recording. Fruitful sessions lead to hundreds of songs being penned. In spite of this creative spurt; it was a band aid for the band’s scars. Just before the album was completed, Lennon walked out of the band. I Me Mine was the final song recorded and there was a lot of uncertainty. Critics were a little lukewarm to Let It Be when it was released- after Abbey Road- and it was an unwise final release. Were it, like it should, to follow Yellow Submarine (the soundtrack was recorded after The Beatles) then Abbey Road would be a naturally fitting conclusion- a return to the band’s highpoint. The Beatles had not always resonated universally with critics- albums like Magical Mystery Tour gained muted acclaim- but Let It Be was the first real sign affections were waning. The patchy quality was not befitting of a band that once ruled the music world unchallenged. Knowing Let It Be could never be repeated- those tensions and awful days- The Beatles came to a collective decision: Abbey Road would be their final album. Knowing the end was in sight, something wonderful happened: The group were filled with life and affection. There were no pretences and high hopes for the future: This was their last hurrah, so let’s go out with a bang, eh?! The atmosphere had improved and The Beatles seemed more united and solid as a band. In spite of this collegial return, the group suffered arguments and disagreements. Songs like Maxwell Silver Hammer- not a golden moment for McCartney- drew criticisms and saw McCartney slave over it to insane degrees. The perfectionist tendencies were on display and unchanged since Let It Be. To be honest, Abbey Road’s recording signalled maturity and wisdom from The Beatles. They wanted to get rid of the conflict and return to the way things used to be. As such, George Martin was brought back to the producer’s chair. Martin’s influence and strict instructions- especially pressed towards Lennon at this time- seemed to hit home. The quartet was ‘The Fab Four’ once more. Harrison- who had suffered the most during the Let It Be sessions- reflected positively on the sessions. There were no cameras and cold rehearsal spaces: The band were at their spiritual home and had returned (in a slightly diminished sense) to their former, better selves. Despite a more solid band, old issues started to rear their heads. Ono’s constant presence was starting to grate McCartney. Both Lennon and Ono were involved in a car crash during recording: Ono was forced to rest; installing a bed in the recording studios. Hanging over the band like a nagging teacher (me editorialising a bit) it was no wonder there was danger the album would be derailed like Let It Be’s tumultuous progeny. McCartney and Lennon arrived on a compromise. Lennon wanted to return to a Rock-based, concept-free style of recording- a sound akin to their mid-‘60s period. McCartney and Martin were desirous to return to Sgt. Pepper’s’ thematic approach. As such, Abbey Road was split into two distinct sides. Side One was marked by its focused and ‘old-style’ ‘Beatles sounds. Side Two was a medley that saw characters united and song snippets flowed into one another. Despite détente being reached, Lennon still couldn’t resist poking the bear. He felt McCartney’s medley was trash: Snippets of songs that had no real value. Valuing (McCartney’s) contributions for “grannies to dig”: Not every aspect of recording had seen The Beatles regress to their glory days. That said, the album did get made and its majesty resounding hugely with critics. Many consider Abbey Road to be The Beatles’ crowning achievement. It is hardly Abbey Road is considered a stone-cold classic when you investigate the songs. Come Together opened proceedings and saw the boys put in one of their finest performances. A simple Rock song that sounded like The Beatles of old: Come Together flowed with effortlessness and unity. Many picked the song apart for hidden meanings- maybe a sly dig at McCartney’s role; the importance of Lennon and Ono to the group- but definitions aside, it was one the group’s best songs. Lennon had recaptured his desire for song-writing and seemed more focused and engaged. Seeing himself as a peace-loving, higher figure- the rough draft of the lyrics were created during a bed-in event in Montréal- there is a charm and wit alongside arrogance and mystique. A complicated-and-simple juxtaposition that brought the best from The Beatles. A perfect opener and endlessly-quoted track: A warning shot that showed there was life in the band yet. George Harrison was coming into his own as a songwriter around The Beatles’ creation. Whilst his efforts- across that album and Let It Be- showed some weak moments (Piggies from The Beatles; I Me Mine from Let It Be); he was at his most consistent and spectacular on Abbey Road. Something is considered to be Harrison’s greatest song in The Beatles’ catalogue. The song began life during the sessions for The Beatles. Inspired by James Taylor’s Something in the Way She Moves: Harrison refined the lyrics during Let It Be’s creation. Lennon considered the song to be Harrison’s greatest moment- a sentiment shared by the rest of the band- and was issue alongside Come Together as a double A-side release. The first number one from The Beatles not written by Lennon and McCartney: Harrison was emerging as one of the country’s best songwriters. Maxwell’s Silver Hammer is seen as one of Abbey Road’s less-inspired tracks. A song that divided the group- angered by the time McCartney dedicated to such an average thing- it was first performed during the Let It Be sessions. The band felt the song was too complicated whilst Lennon flat-out hated it- feeling it was another McCartney song primed for old listeners. Harrison was also weary of the time spent on the song. Having heard the track over and over, there as that need to get it done and out the way. In spite of criticisms, it is a necessary balance in an album that saw The Beatles embrace a more playful sound. You would not want an album too heavy-handed and solemn. If it is a little juvenile, then what of it: It shows the range The Beatles had and the need to keep things light and upbeat. Oh! Darling was another McCartney song that saw him try a Frank Zappa-esque track. Recording it over the course of a week- arriving first thing saw his voice was quite raw- it saw McCartney deliver one of his most emphatic and impressive vocal performances. Lennon clearly had affection for the song: Feeling he should have sung the vocal as it was more his type of song. If certain McCartney songs divided opinion: Oh! Darling was a simpler and more natural song; free from endless takes and perfectionist tuning. Octopus’s Garden and I Want You (She’s So Heavy) brought Abbey Road’s Side One to its conclusion. If Maxwell’s Silver Hammer was considered as a slightly silly song: Octopus’s Garden was down-right bonkers. A rare Starr solo composition- good to see the drummer get a say on the album- is considered another minor footnote on the album. I Want You (She’s So Heavy) is one of Lennon’s most intense songs. Written about Yoko Ono; its simplicity and passion ensured it had a huge impact and stood as (one of the album’s) key moments. Although the song had a Blues structure; there were white noise effects and odd time signatures: The song runs in at nearly eight minutes and suffers a sharp cut at the 7:44 marker. The result of two recording sessions- one after the Get Back/Let It Be point; the other during Abbey Road’s recording- it demonstrated Lennon has rekindled his song-writing genius. Side Two opened with another Harrison composition: The breezy and hopeful, Here Comes the Sun. Recorded in Eric Clapton’s Garden in Surrey- Harrison was relaxing, following stressful band business meetings- it saw McCartney on bass and backing vocals; Starr on drums (Lennon was not involved; still recovering from his car accident). A critically acclaimed song; it is seen as one of Abbey Road’s most immediate and sing-along songs- showing just how much Harrison has matured as a songwriter. Because preceded the famous ‘medley’ and was one of Lennon’s contributions. Inspired by Yoko Ono playing Moonlight Sonata on piano: Lennon wondered what the notes would sound like played backwards. Upon Ono’s reverse delivery; the inspiration for Because arrived. Featuring Harrison, Lennon and McCartney on vocals: Their voices were triple-tracked to create a stunning choir-like sound. Each singer considered it to be among the most technically challenging they had attempted. The 16-minutes medley is considered to be among The Beatles’ most inspired decisions. George Martin- wanting the band to return to a more structured, disciplined form of song-writing- forced Lennon and McCartney to become more serious about music. The lead-off track, You Never Give Me Your Money, is a McCartney composition aimed at Allen Klein. Based on Klein’s empty promises and mismanagement. Lennon and Harrison became heavily involved with the track’s recording. Both would record guitar solos with Lennon’s contribution- the final solos- being seen his finest guitar work. Sun King works in a similar way to Because. Those dreamy, multi-part vocal harmonies- again, Harrison, McCartney and Lennon in unison- were sunnier than Because’s intense and haunting effects. Mean Mr. Mustard and Polythene Pam are Lennon vignettes of two contrasting characters. Polythene Pam is based on an experience Lennon had. Whilst on Jersey, Lennon was introduced to a woman who wore polythene: He elaborated and fabricated certain details to fit it into Abbey Road. Mean Mr. Mustard was written in India- Lennon disliked the song and saw it as a throwaway- and introduced Polythene Pam. Following Lennon’s two contributions came a run of four McCartney songs. She Came in Through the Bathroom Window was penned following a fan breaking into McCartney’s apartment (through the bathroom window). With McCartney living in St. John’s Wood- close to Abbey Road Studios- fans would often attempt to get into (The Beatles’) houses. Golden Slumbers- inspired by the poem, Cradle Song- takes the poem’s first stanza and modifies the wording slightly. Carry That Weight is one of the most interpreted and relevant songs from Abbey Road. Featuring all four members on vocals- a rarity for The Beatles- the song incorporates You Never Give Me Your Money (the beginning of the song is given new words). McCartney, Starr and Harrison recorded the track in 15 takes- whilst Lennon was in hospital; recovering from his accident- with takes 13 and 15 being fused together. Many have their opinions on the song’s origins. McCartney’s take was (the song) was a representation of the struggles the band had with Apple: The bad relations and business fall-outs that were experienced at the time. Other see the song as a calling-for-togetherness: The fact The Beatles would never sound as strong apart as they would together. The End is the perfect end for The Beatles: “The love you take/is equal to the love you make”. Each band member played a solo on the song and it was one of the most complicated and unifying tracks across the album. Her Majesty is a 23-second snippet that ends Abbey Road with quirkiness and humour. McCartney hated the song- he wanted it binned- but owing to the fact no ‘Beatles material was ever discarded: The song remained and is the final thing heard on the album. At the time of the album’s release; the song was not included in the original sleeve: It is, therefore, considered one of the first ‘hidden tracks’ in Rock music.